You may have noticed a restaurant lining Center Street on your way onto the island called “The Washout” — the photo above is of it’s namesake…the glorious Folly Beach Washout. How did it get it’s name, you ask? Well…it literally washed out! Sadly, the homes in this little strip of the island along East Ashley were washed away in Hurricane Hugo. Today what remains is a thin but precious strip of the island famed for it’s surfing and surfing contests. 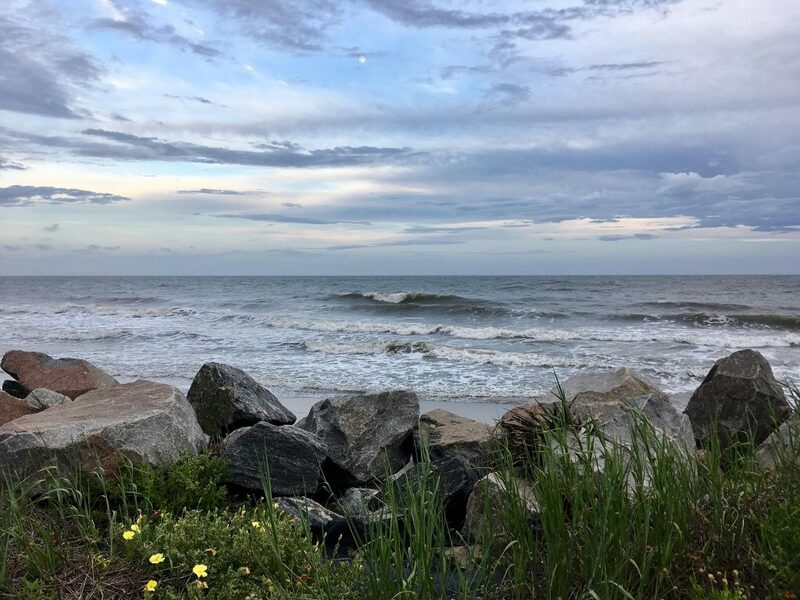 City parking lines the area today, and you’ll be sure to find a great view at this stunning strip of this beautiful Charleston, SC barrier island whether it be dolphins, surfers, or just the perfect wave.